Persian Pod 101 is a modern, multi-device (web, mobile, tablet) platform for Farsi language learners. Review Summary: Persian Pod 101 is useful for beginners to develop basic vocabulary and conversation skills. Premium accounts offer a wide range of features that make learning Farsi engaging and highly effective. It is also suitable for intermediate learners due to the large amount of material available, although advanced learners may find the lessons somewhat basic for their needs. 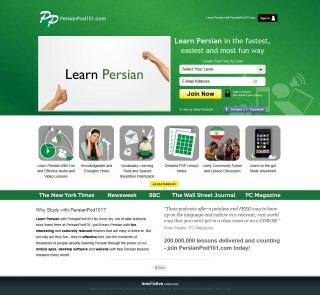 PersianPod101.com is a Farsi language learning system and community developed by the Innovative Language Learning company. Persian Pod 101 is geared slightly more for beginners, but offers lots of intermediate and advanced content as your skills improve. They also constantly update the program with new materials and features. 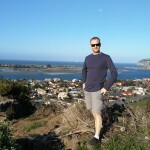 In short, PersianPod101.com is a great way to start learning Farsi.